Jailbreaking one’s iDevice is an increasingly common practice as more users realize that any inherent dangers are made moot by Apple’s System Restore function. The advantages offered by jailbreaking are appealing, particularly with apps like MyWi, which turned your device into a Wi-Fi hotspot long before the functionality was announced as coming with the iOS 4.3 update. The latest version of Apple’s operating system, 4.2.1, was released back in November, but iDevice users have been kept waiting since then for a viable jailbreak method… until now. Last night, Chronic Dev Team’s Joshua Hill took to his Twitter account with a brief message: “Go get it. www.greenpois0n.com.” The new version of greenp0ison, labeled “rc5” — release candidate 5 — is now up for download. Only the Mac version is currently available, but Hill promised in his Twitter feed that a Windows version is coming soon. The new greenp0ison release is notable because it allows for an untethered jailbreak of your iDevice. 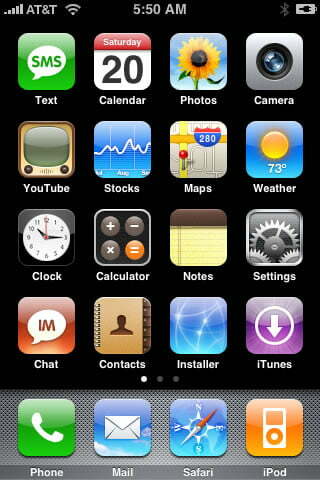 Prior to rc5, iOS 4.2.1 could only be subjected to a tethered jailbreak, meaning that anytime the device needed a reboot it would first need to be connected — “tethered” — to a computer running the proper software. As anyone who uses the Cydia app store knows, installing a jailbreak app or applying updates to the same frequently requires just that sort of reboot. The latest greenp0ison release removes that requirement. iPhone 4 users are currently being advised to steer clear of rc5 for now. This really only applies to those who wish to unlock their device however, as the jailbreak updates the device’s baseband firmware, making the use of a custom SIM card an impossibility. There also appear to be a few issues for some installing Cydia; users encountering this issue are advised to use redsn0w 0.9.7 post-jailbreak to get it installed and running. As the release is still now, updates are sure to come soon. Windows users are going to have to wait regardless, but Mac-folk who aren’t particularly savvy in the mobile tech department may want to also hold off on the jailbreak as well, until those initial launch issues are sorted out and a more stable option is available. Regardless, after months of waiting, an untethered iOS 4.2.1 jailbreak is finally here. Good news for anyone who like to squeeze every last bit of functionality out of their iDevice.